Monopoly is arguably the most well-known board game in the world. Here it is in its own online slot, taking much of the game’s iconography and transplanting it into arguably the most popular casino game in the world. Play online slots today. SG Gaming is a leading provider of gaming solutions for the licensed betting office, arcade and bingo sectors in the UK. 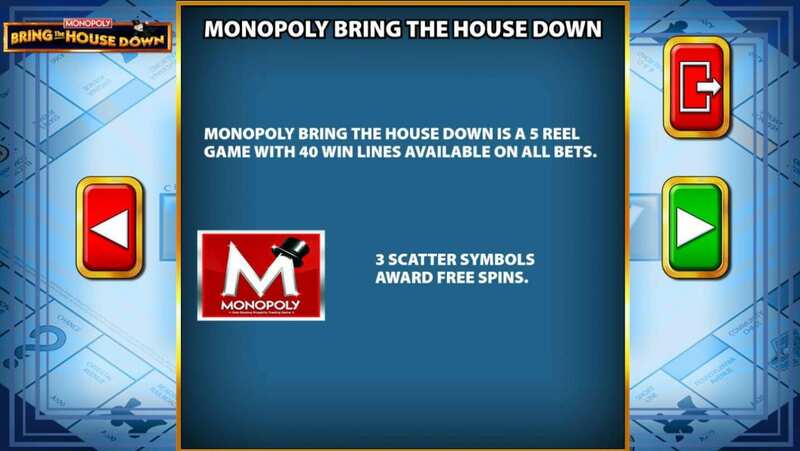 Although the background for this casino game displays the classic Monopoly board, the Gameboard here is 5 reels, each with 3 rows, common to modern slots online. There are a generous 40 winning paylines and modifiable stakes. Here's a guide to help you choose the best new slots to play! Hit the spin button and high-pitched trills will point out any winning combinations while a walking bassline gives momentum to the standard spins as you wait for the reels to choose a position. The low value symbols in this online slot copy the 10, J, Q, K and A from a standard deck of playing cards (and the vast majority of slots online too!) High value symbols, predictably, are some of the silver game pieces from Monopoly: the boar, the racecar, the cat and the little Scotty dog. 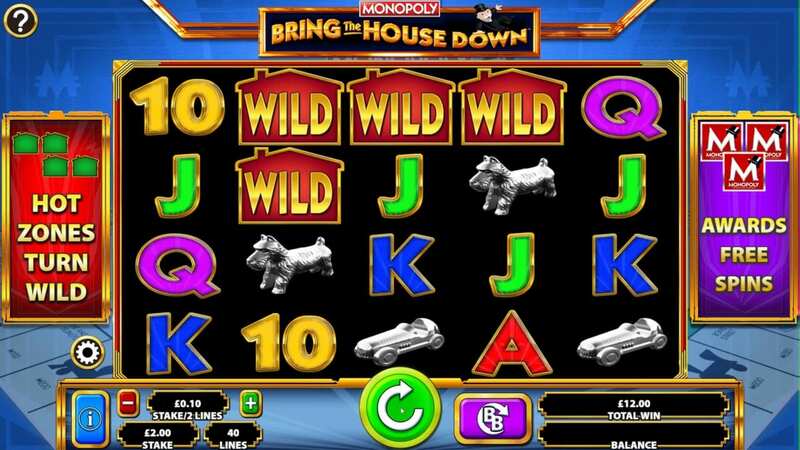 The WILD is an outline of a house with the word inside and generously, it pays out for matches of 3, 4 or 5 of a kind, doubling as the game’s most valuable symbol. 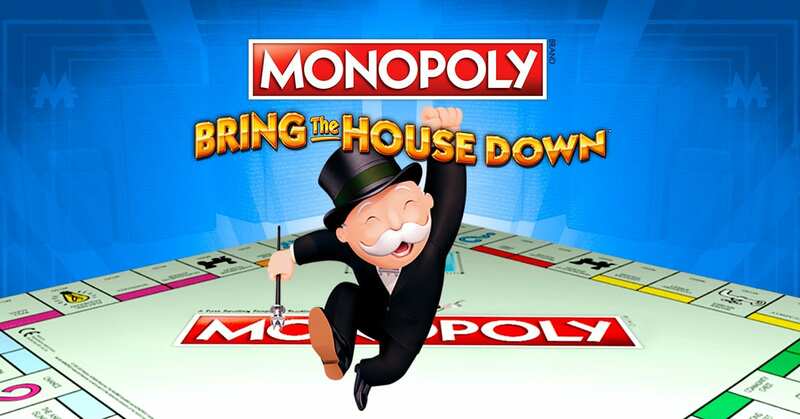 A Monopoly ‘M’, complete with a top hat at a jaunty angle, is the game’s SCATTER symbol. Hit 3 of these anywhere on the board to trigger some automated free spins. During a free spin round, any houses that land on the board turn the symbol in that position WILD. These WILDS are sticky, remaining in place for the duration of the free spin round. It’s a great bonus; by the end, the majority of the screen will be WILDS and you can really rack up big wins. When you do, gold coins come flying across the screen while the music blossoms into a celebratory big band number, all parping horns and crashing cymbals. These greenhouses, known in the game as hot zones, feature in the core game to, cycling down the reels as they spin. If any hot zone symbols land on their reels, their location becomes WILD. These WILDS may randomly turn red, upgrading them to a hotel and adding a random multiplier to all hot zone symbols. These WILDS substitute all symbols except SCATTERS. However, a hot zone can land on a SCATTER turning it into a combined WILD SCATTER making it crazy powerful! Chance cards – Choose one of 3 cards to reveal a hot zone. Selector – This drops a random hot zone pattern onto the reels. Bonus Drop – An extra hot zone may drop onto the reels. Why not take a look at some of the other games available on Wizard on our all games page.